Thanks to the advice of a wise friend, I’ve been reading up about rock singer Freddie Mercury (1946-1991), the flamboyant, amazingly talented lead singer of Queen. Even now, more than 20 years after his death from AIDS-related pneumonia, most of us can hum such classic Queen hits as We Are The Champions, Crazy Little Thing Called Love or Bohemian Rhapsody. Mercury wrote or co-write these and many other songs that are staples of classic rock radio. By any measure of our culture, Mercury was an over-the-top, break-open-the-champagne success. Fame, wealth, peer recognition and adoring fans were all his. Does this sound like a man who had it all? Despite the approval of our culture, despite the 18-room London mansion, the extraordinary voice and the legion of male and female lovers, Mercury showed me (and you) something important: these are not the stuff of contentment. Indeed, these are lies. In his last days, did Mercury pursue something deeper and more eternally important? We’ll never know. But it’s not too late for you and me to do that. Strip away what our culture says is vital (and what Mercury proved is NOT) and you’re left with something very, very controversial. You’re left with God, your creator. I’ll be bold and declare that beyond friends, parents, relatives, spouses and children, the only relationship that is completely loving and completely permanent (so permanent that it continues beyond this life) is with God. God created you. And he offers you the gift of Jesus Christ, whom serious Christians believe is God’s Son. Jesus teaches us how to live — to REALLY live — with such crazy notions as forgiving your enemies, turning the other cheek, loving your neighbour as much as you love yourself, not judging others unless you’re ready to be judged the same way, and doing for others what you want them to do for you. Jesus did more than teach. He told his followers that for everyone who believes in him, he would die on a cross to make up for the wrong things they’ve done and the right things they’ve failed to do. Then He did it. And the Bible, which serious Christians believe, says He came back to life. Just by believing in Him and following Him, you can have Jesus wiping out all your failures, too. And you can have a richer and fuller life NOW. Interested? Post your thoughts below and let’s have a conversation. I have been a Queen fan since I was a kid so I found this post about Freddie Mercury that also contains a biblical lesson fascinating. Great post! I am still an avid Queen fan. Freddie Mercury however, kind of breaks my heart, so I have avoided reading too much about him. It’s sad to watch so many people full of talent, blessed with fame and fortune, and yet so unhappy. That is what happens when we try to pour “things” in the abyss of our souls. Only Christ can truly fill you up. So many of us are driven to try and find an external solution for an internal problem and we make ourselves miserable in the process. Truly we are able to have reason to live, thru Christ Jesus, as our Lord. He is the Way the Truth the Life. Let’s therefore call upon His Name to receive Life. Spot on! It’s easy to get distracted by material things (including relationships), and this post was a helpful reminder that the only relationship that really counts is the one we have with God. Thanks for that! I am a Queen fan too. I agree with Julie Garro, what matters most is our faith with God, that makes us happy and contented. 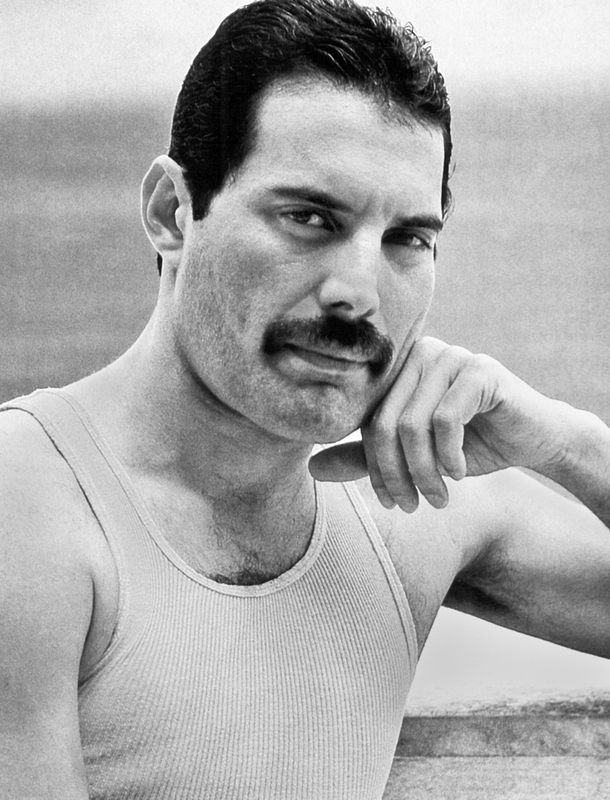 For his sake, I hope Freddie found the peace his soul must have been longing for, because it’s often when you totally break down, wonder at your existence, and cry out in despair that God finds room to place Himself in your life. When I was in high school, Queen was my favorite band, hands down. Someday I would like to know the whole story of Freddie’s spiritual journey. A lot of people don’t know that Queen’s early albums had some overtly biblical-ish songs: “Jesus”, “Prophet’s Song”, and “Liar” are examples that I remember off the top of my head. Well in this case God hated Freddie Mercury because Freddie was gay and God hates that… Of course God could have simply altered Freddie’s bio-chemistry so that he wasn’t so “confused”, but God chose to instead hate him. So Freddie truly was alone, without even a God to love him. There are no footnotes listing exceptions, Kurt. ‘The world’ means EVERYONE. Including Freddie Mercury. Including YOU. Do you believe this Bible quote is a lie, simply because Freddie Mercury couldn’t find happiness in everything offered to him by this broken world? God loves us all and is a forgiving God as everyone sins and God still forgives!!! !